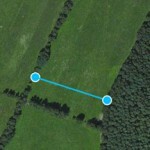 Measure the distance between two points on the map. 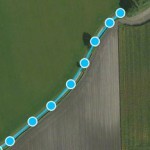 By using several points on a line you can measure the length of a path or road. 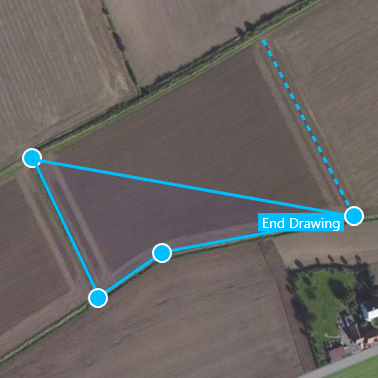 You can measure the area and circumference of an area on the ground - for example a roof, field, lawn or lake. Map Measurement uses lines and shapes to check one or several distances and estimate sizes of different features on Earth. 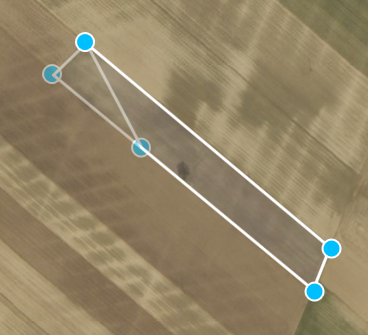 With Map Measurement, you can measure the length on the ground with a line or path, you can also measure areas using polygons. You can measure several different measurements on one map. You’ll see a line or shape on the globe that shows what you’re measuring. Move the measurement by holding down the cursor at the center of the measurement and dragging it into place. Edit your measurement by holding down the cursor on a measurement point and drag it into place. You can delete figures by right clicking and selecting Delete Figure. You can adjust color and line thickness on your measurements by selecting Settings in the top right-hand corner.